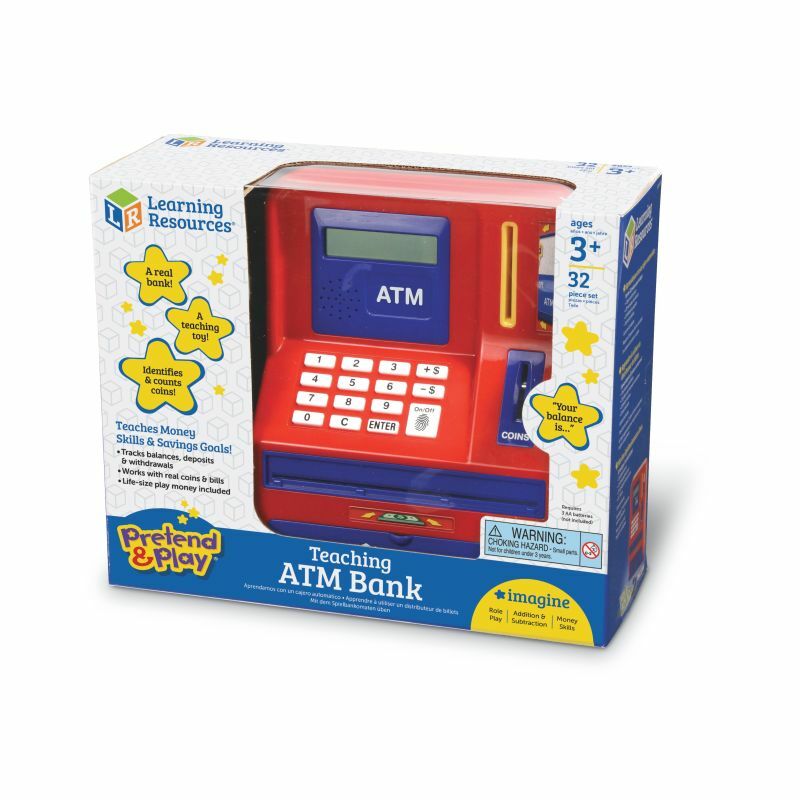 Children learn money skills as they deposit, withdraw, and save real and pretend money with this electronic ATM bank. Features coin recognition and a mechanical bill feeder. 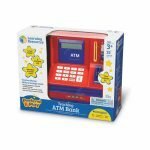 Includes play money and ATM card. Perfect for teaching savings goals! Large display screen measures 2½”L x 2”H. 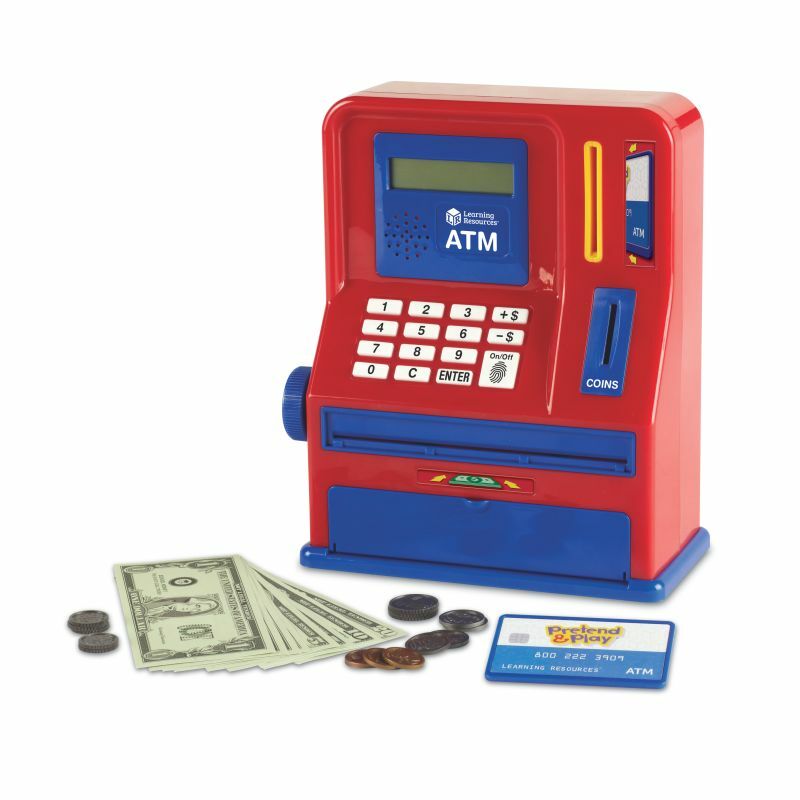 ATM measures 8”W x 10”H.